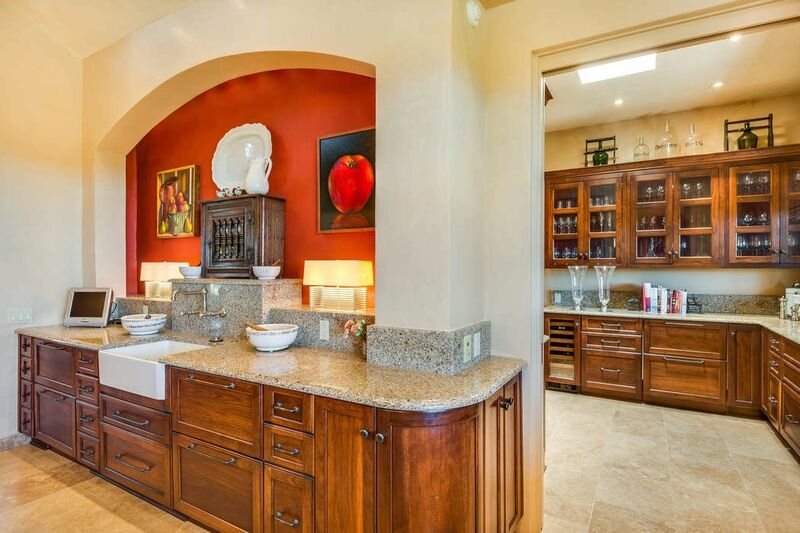 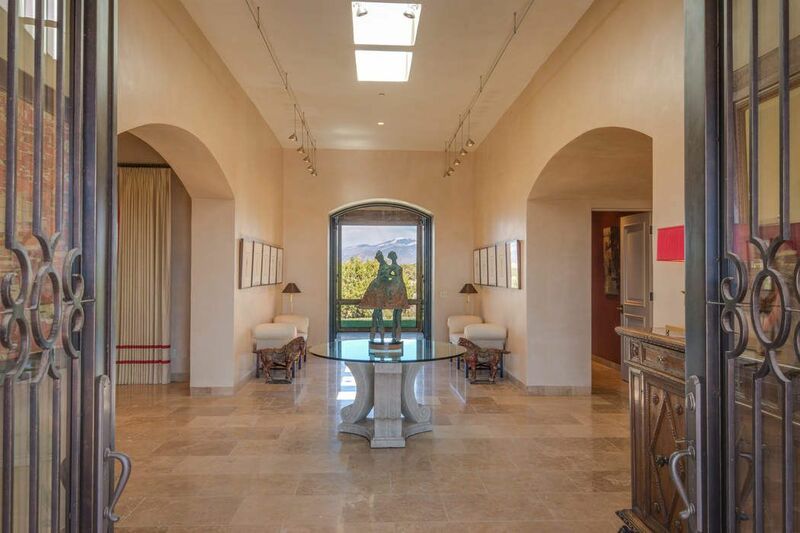 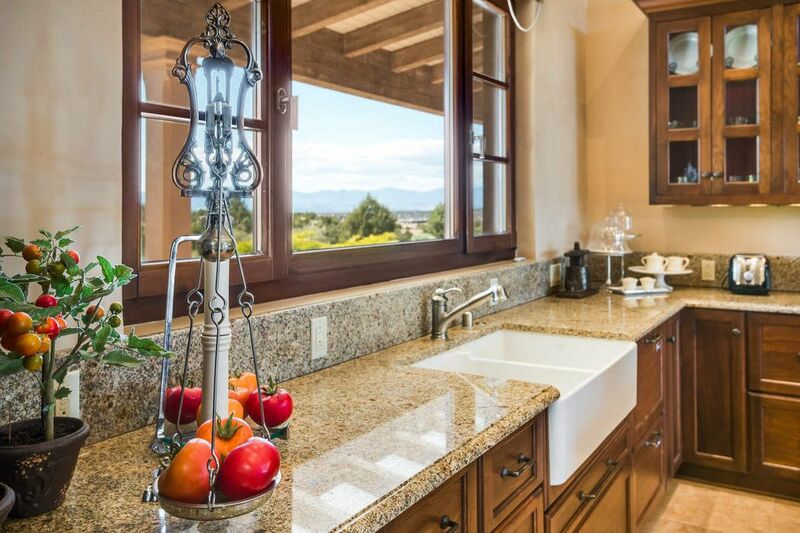 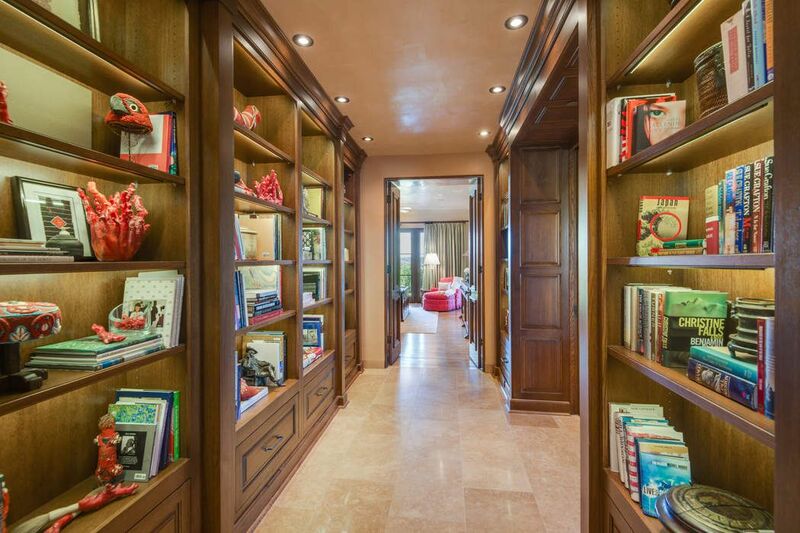 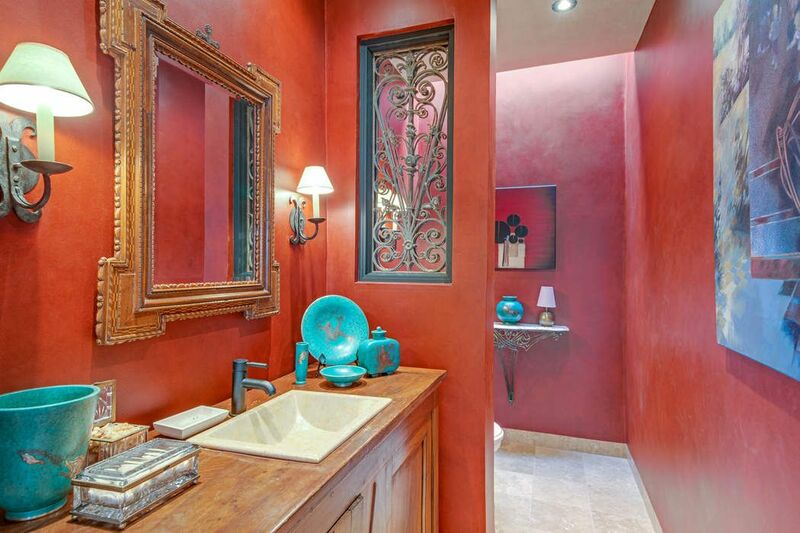 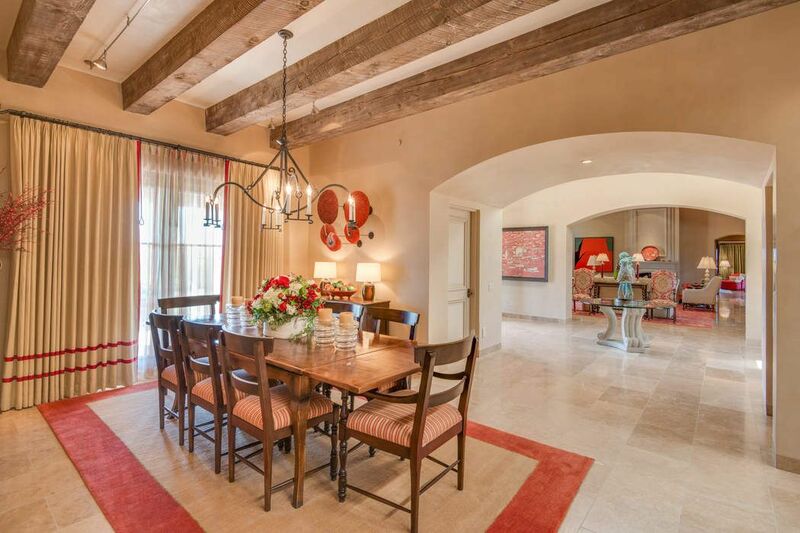 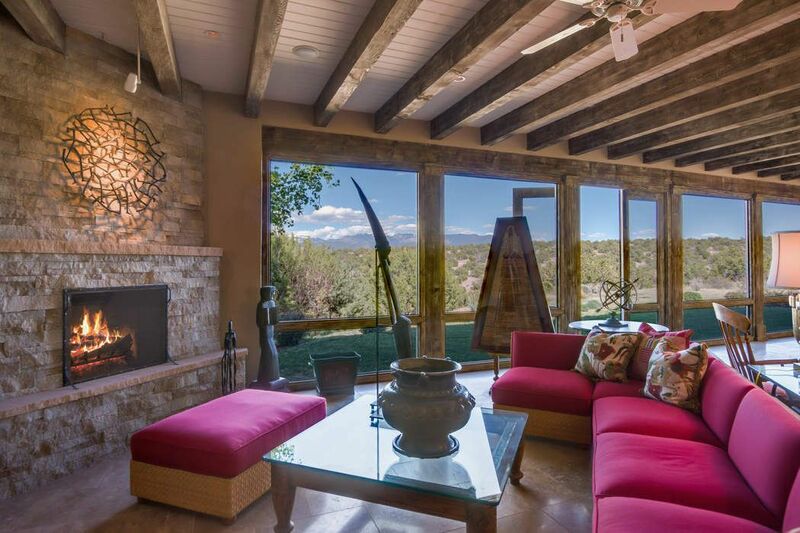 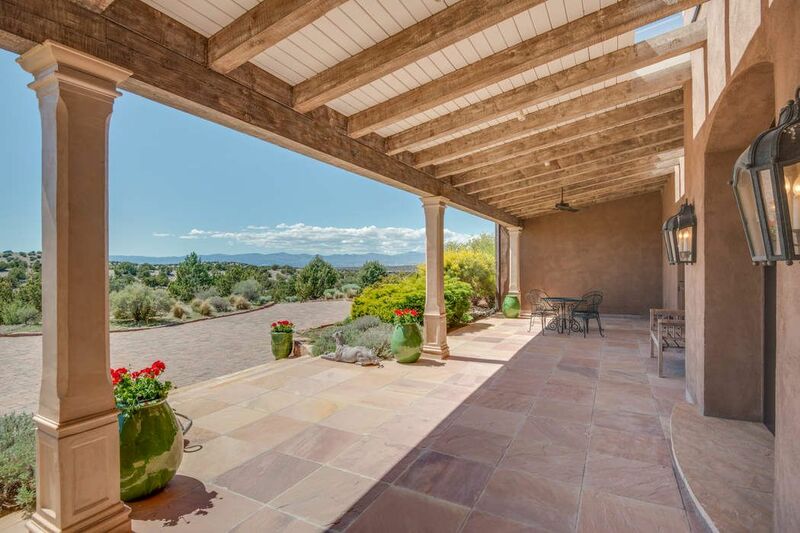 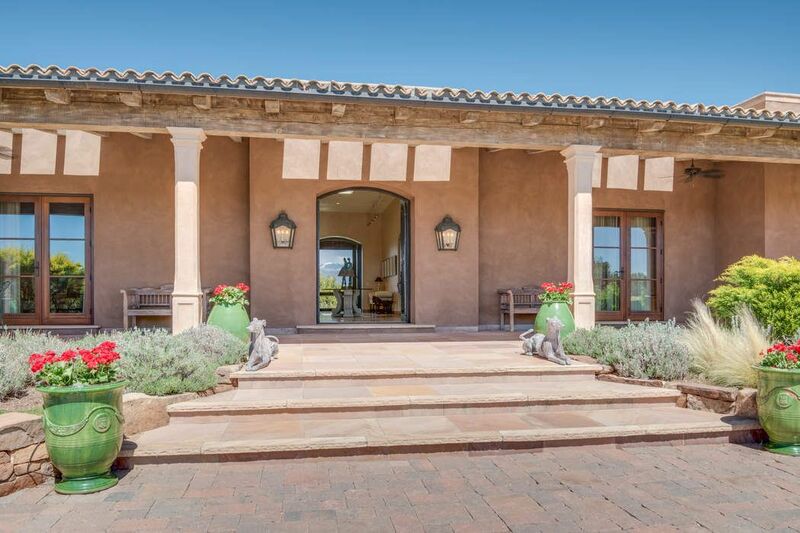 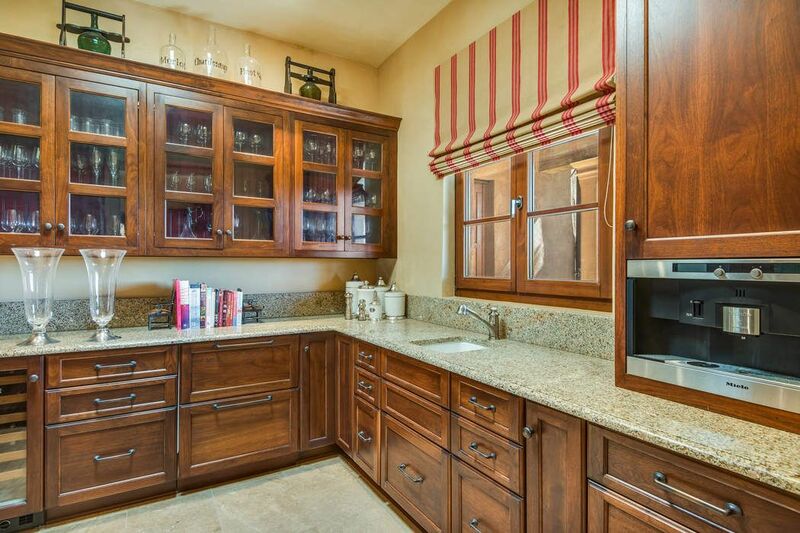 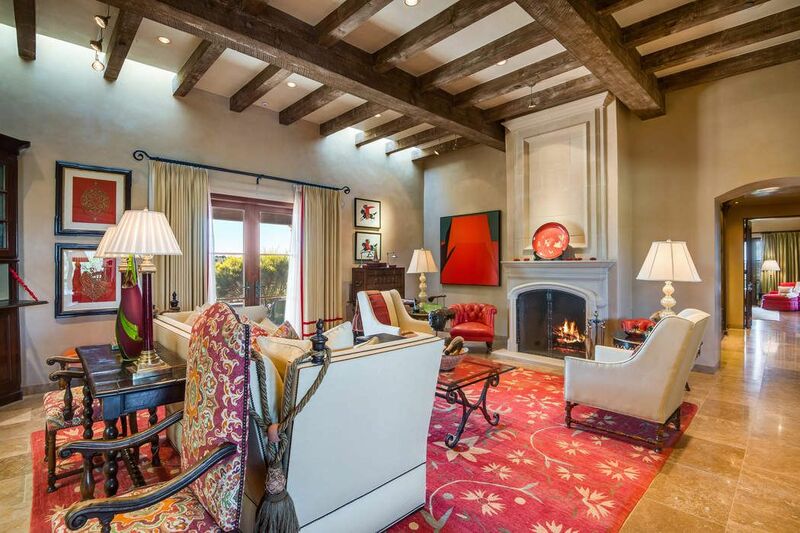 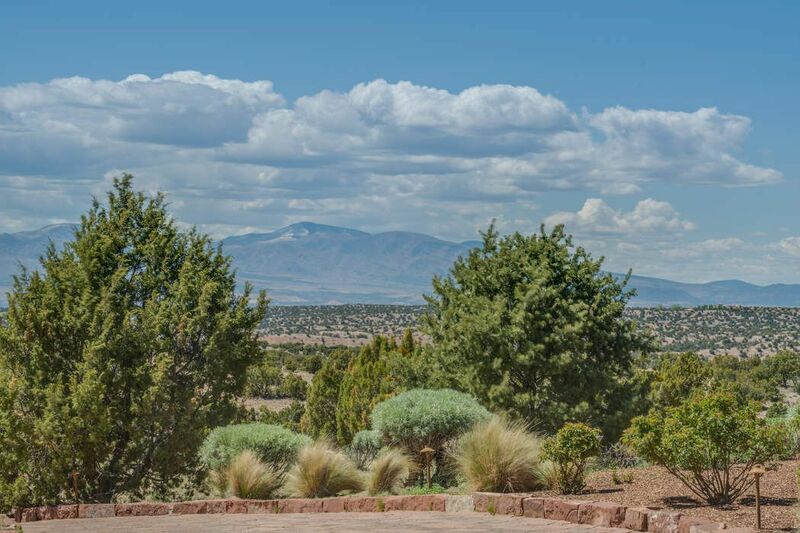 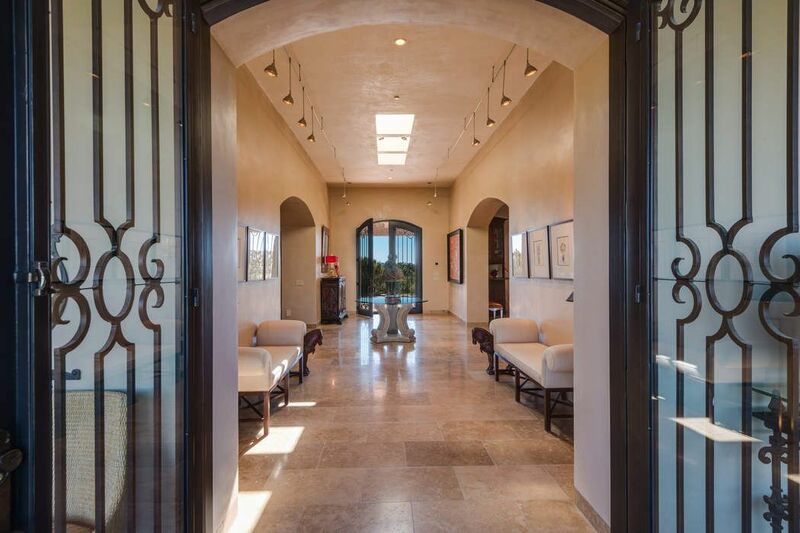 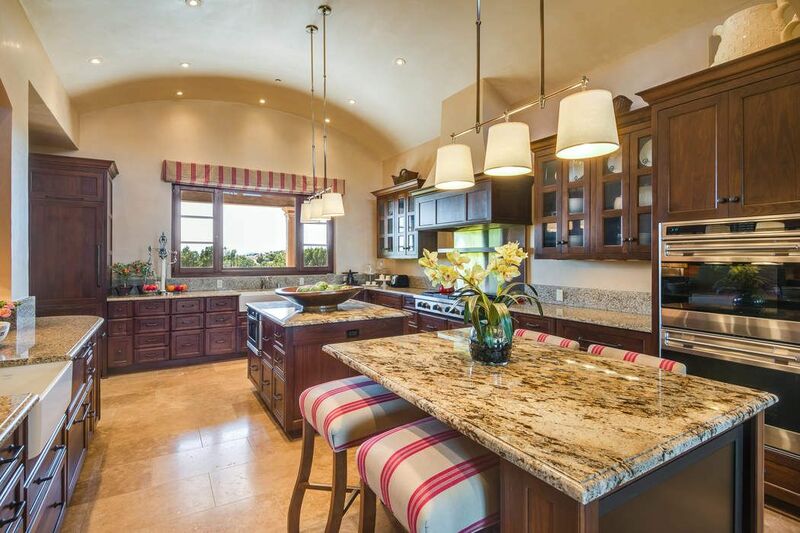 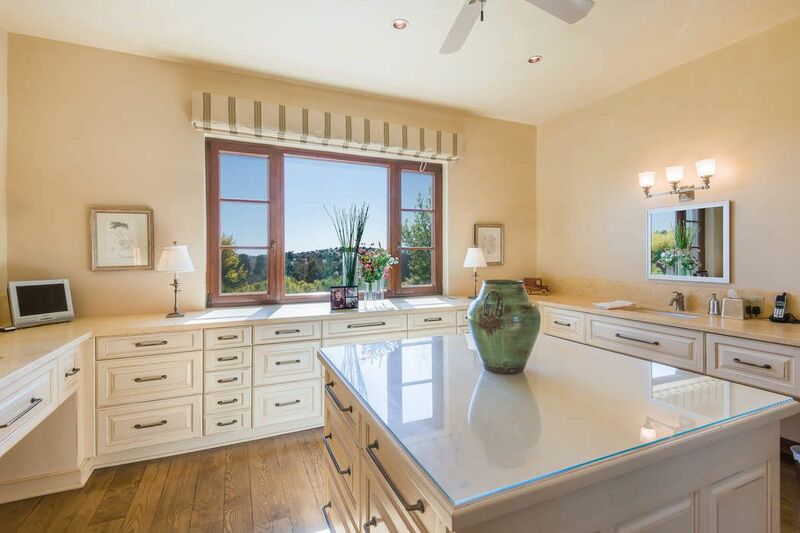 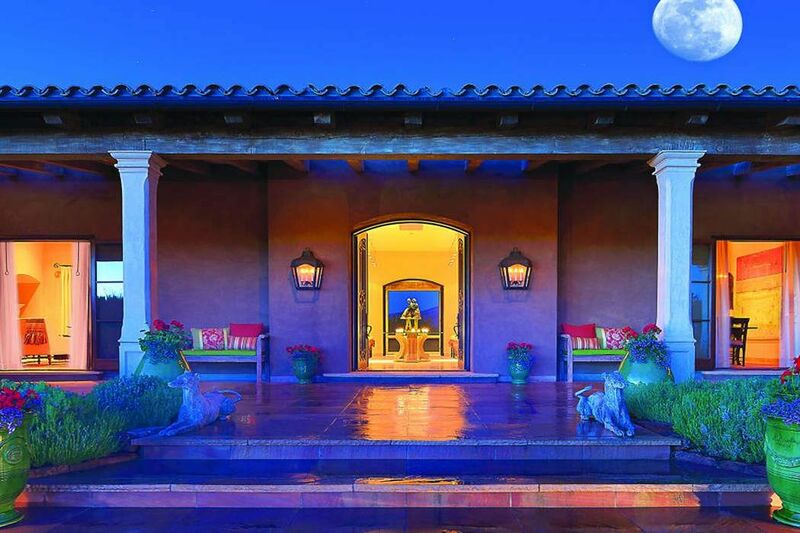 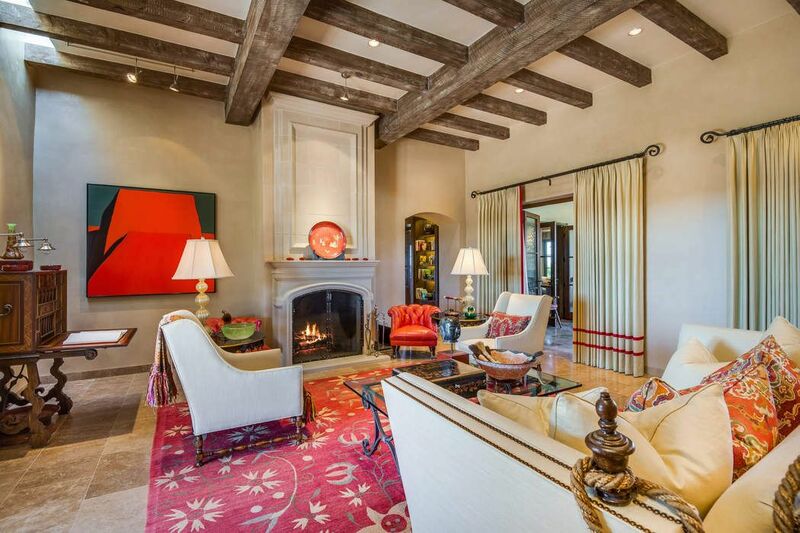 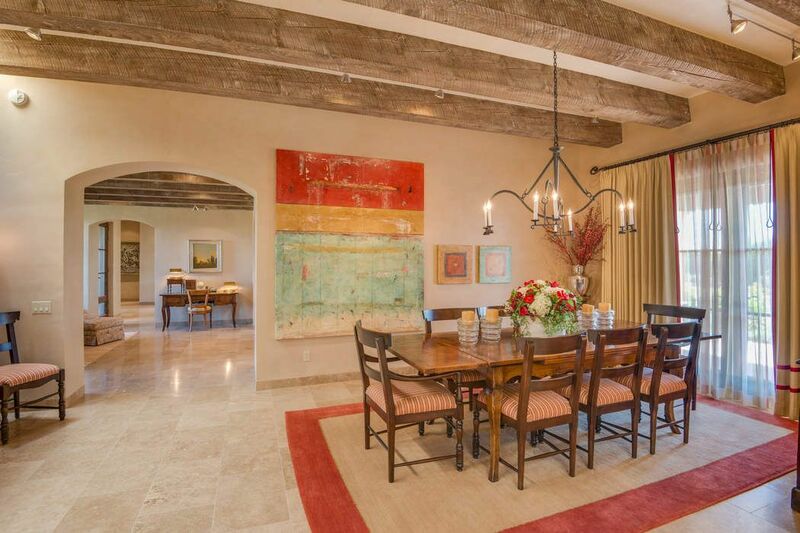 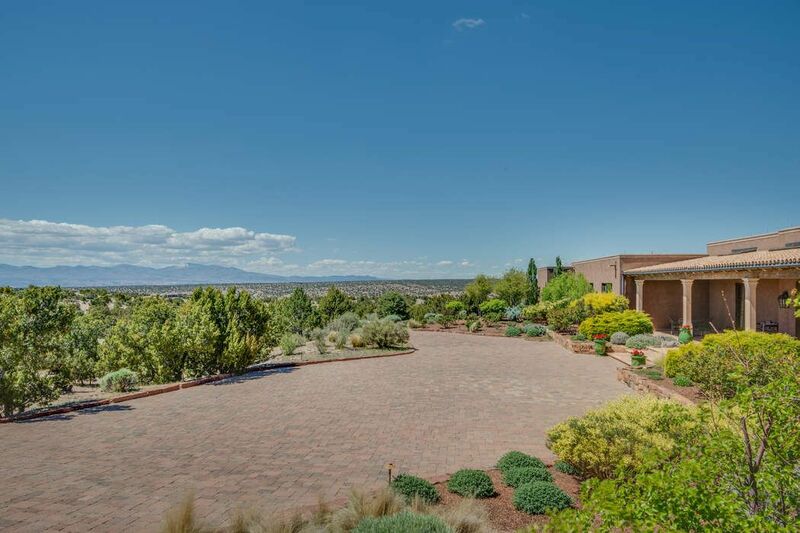 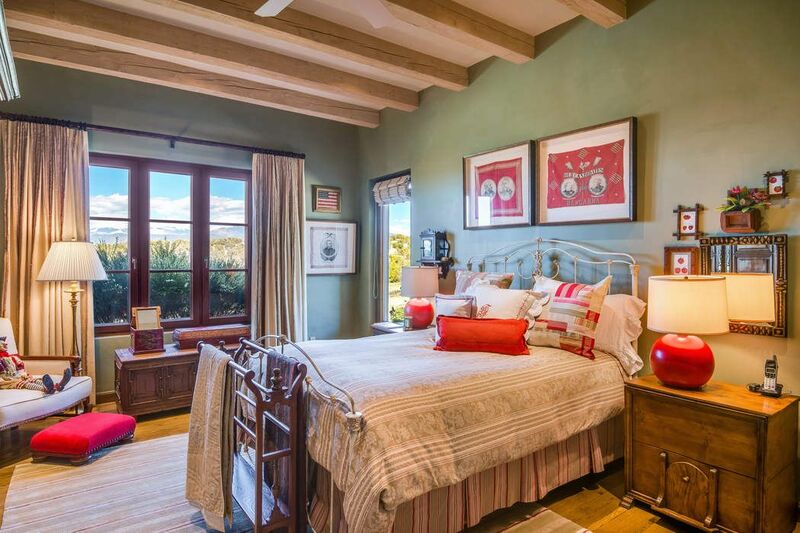 Hacienda Bella Vista, Santa Fe, NM 87506 | Sotheby's International Realty, Inc.
A must see luxurious and sophisticated estate that reflects that magical merging of inspiration and architecture. 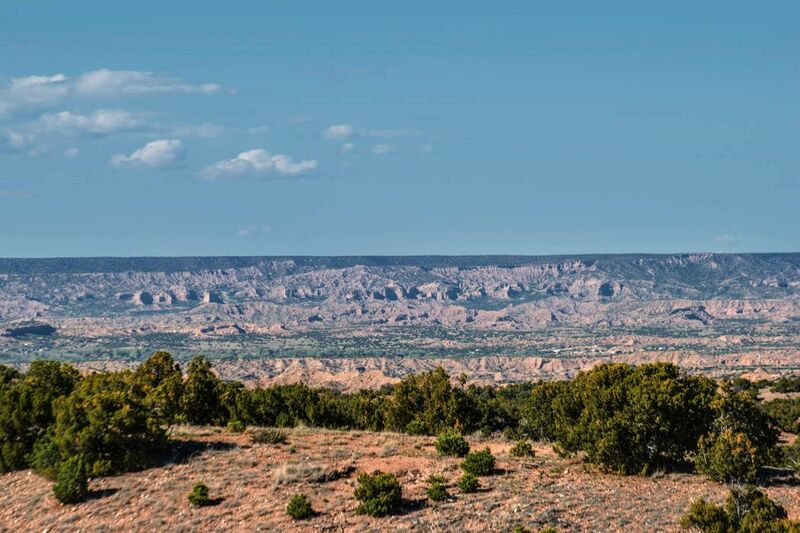 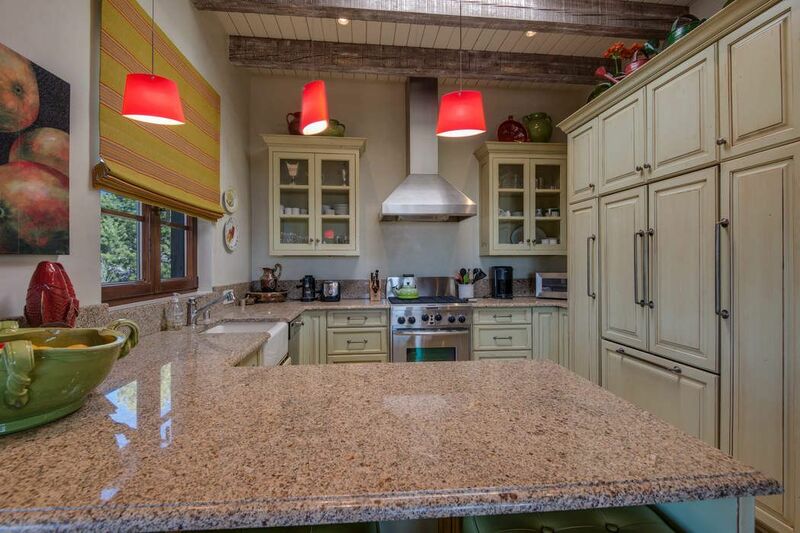 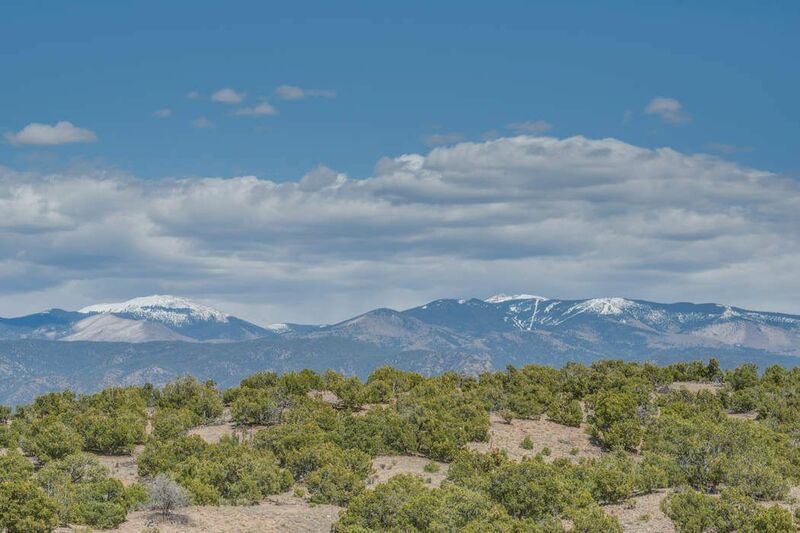 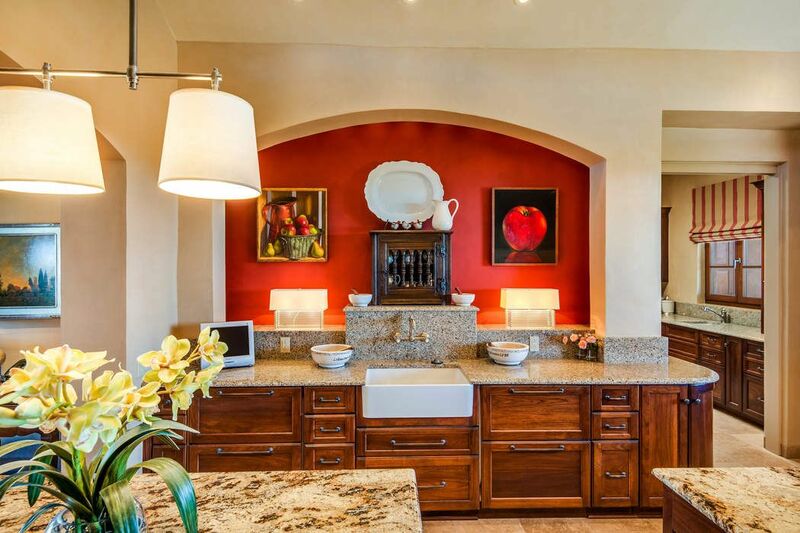 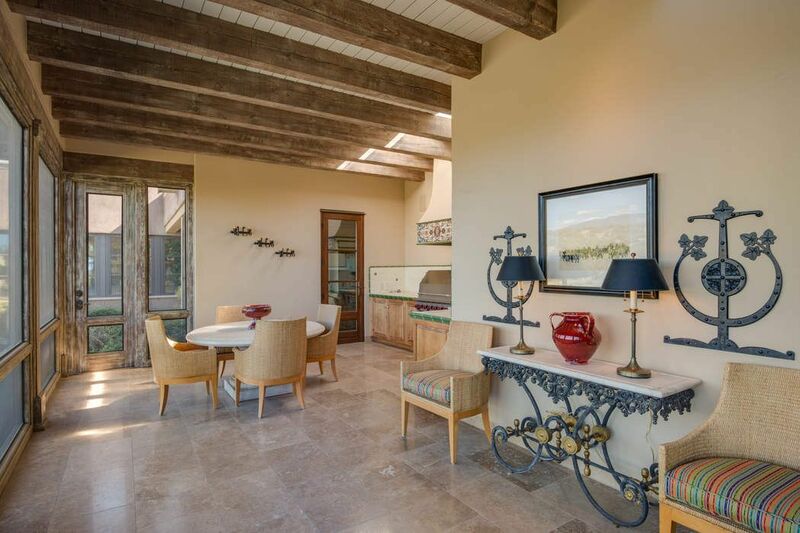 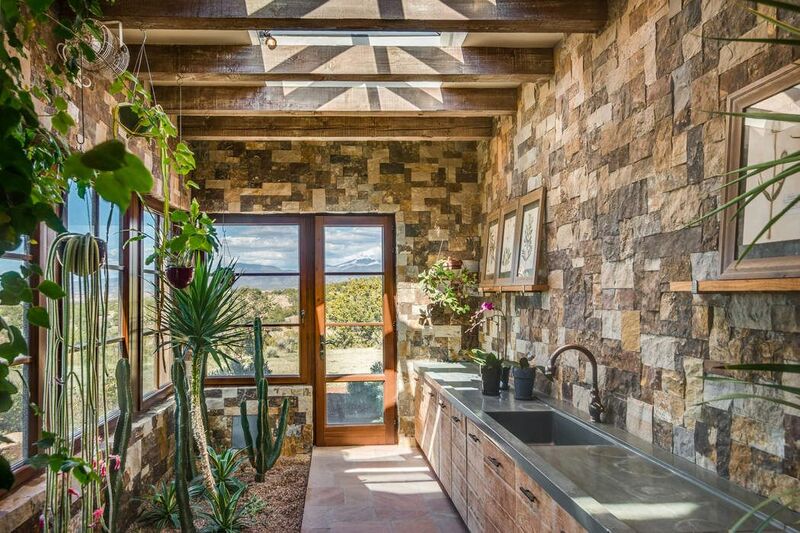 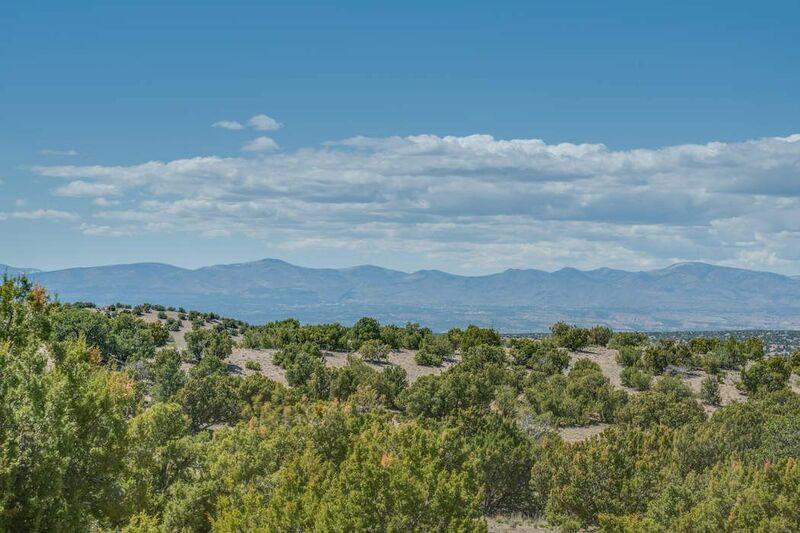 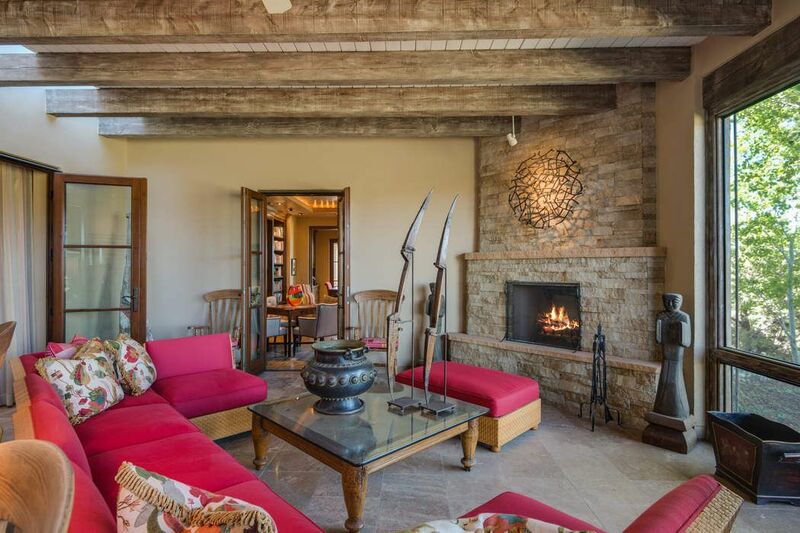 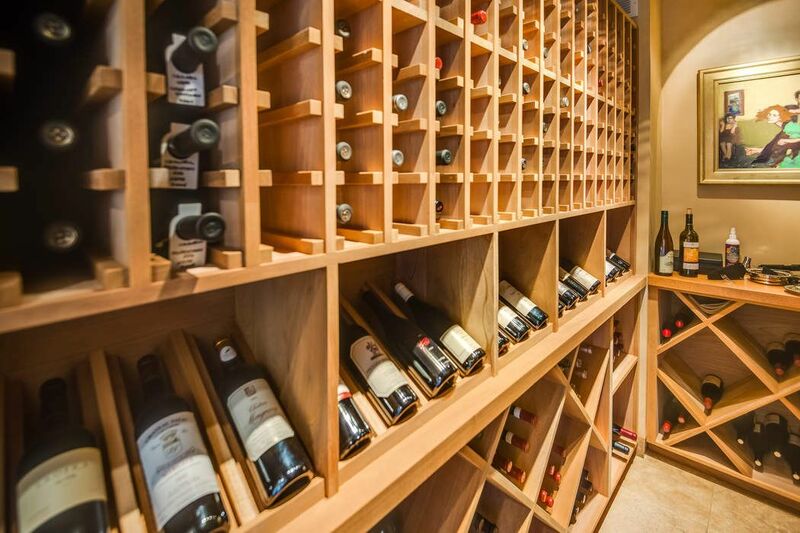 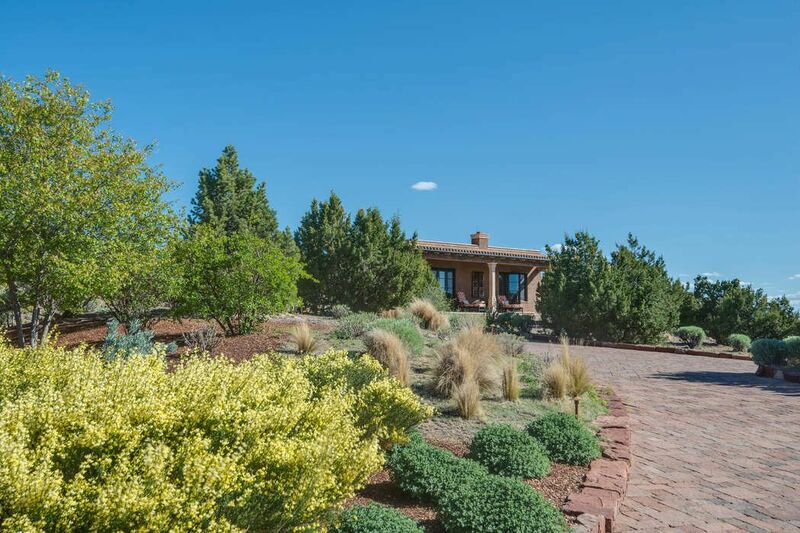 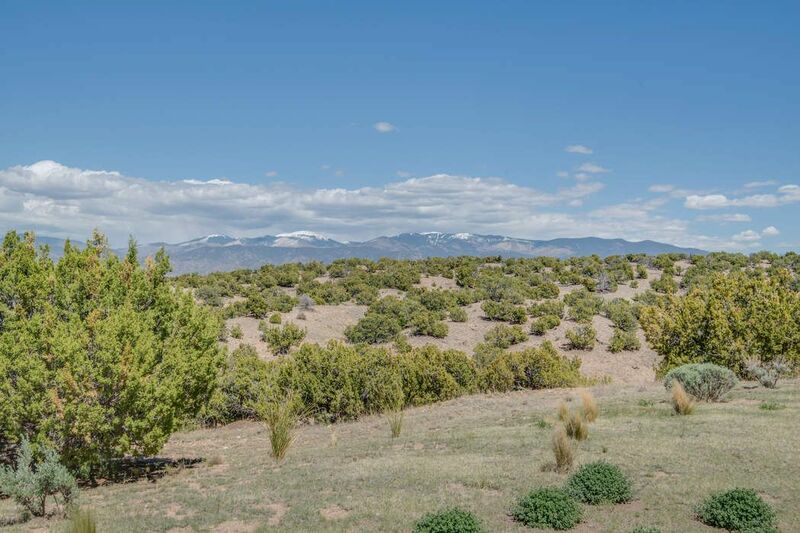 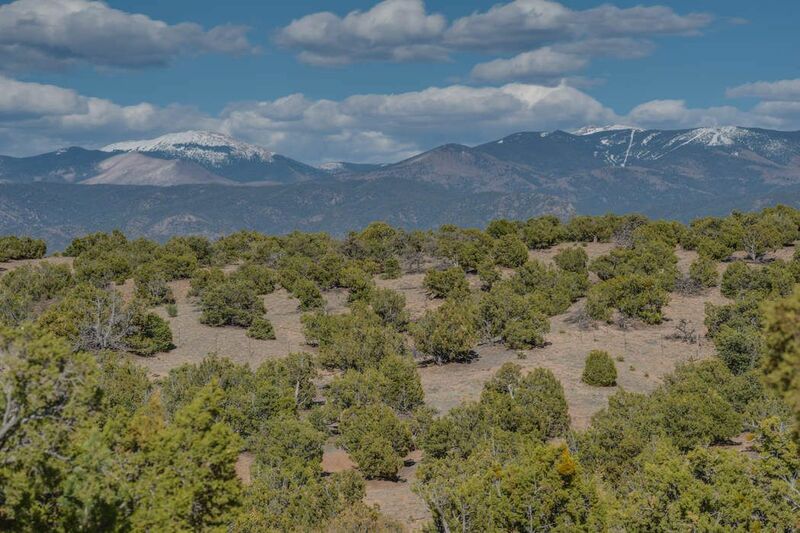 Masterful design and modern luxury set on 50 acres with some of the most stunning and ever changing mountain views in Northern New Mexico are all in this unparalleled retreat. 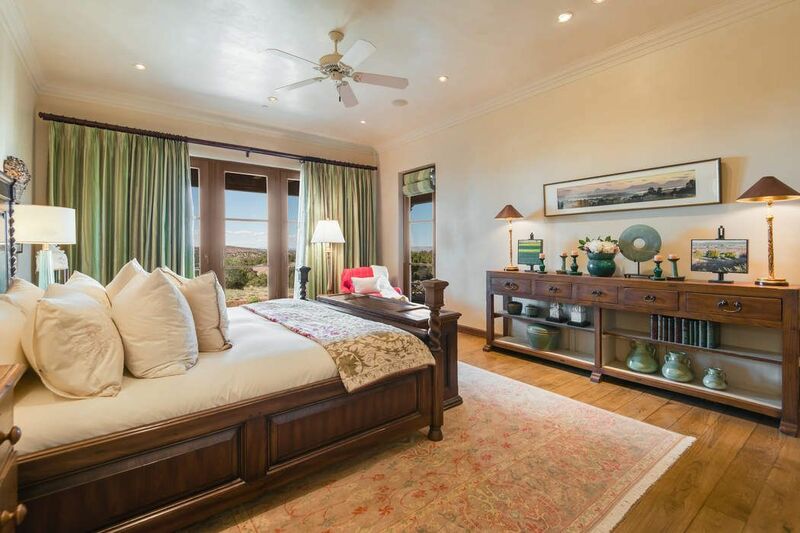 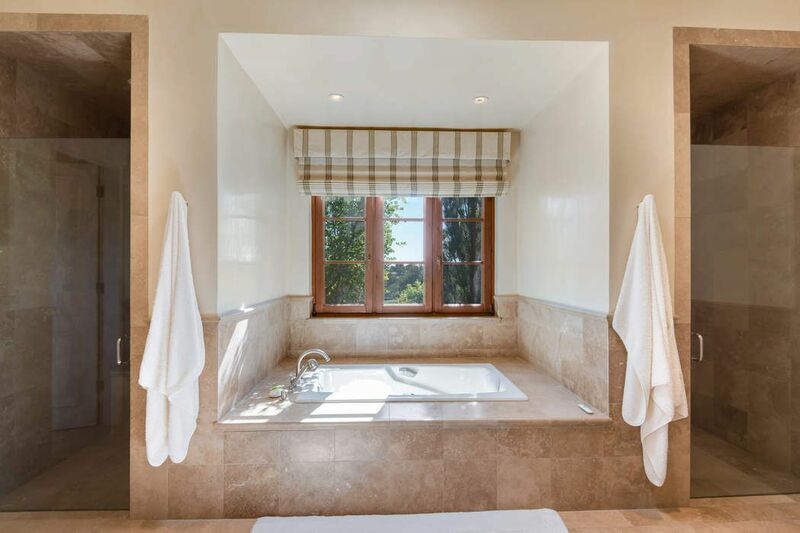 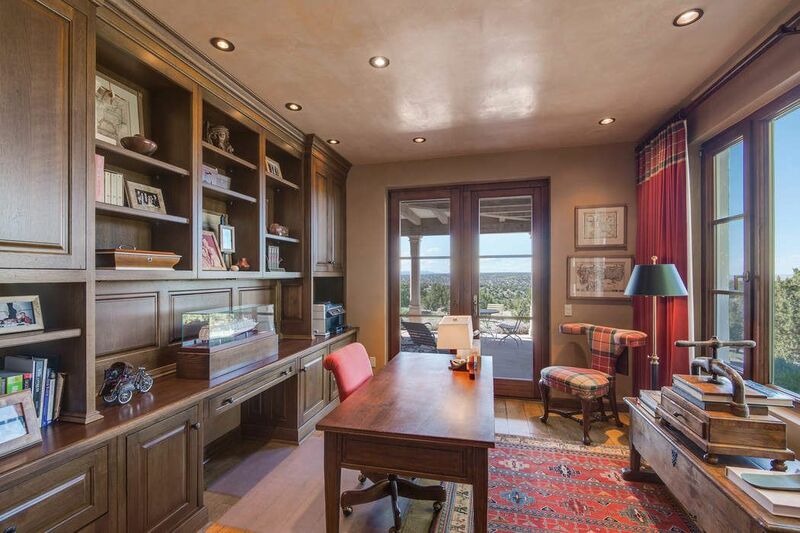 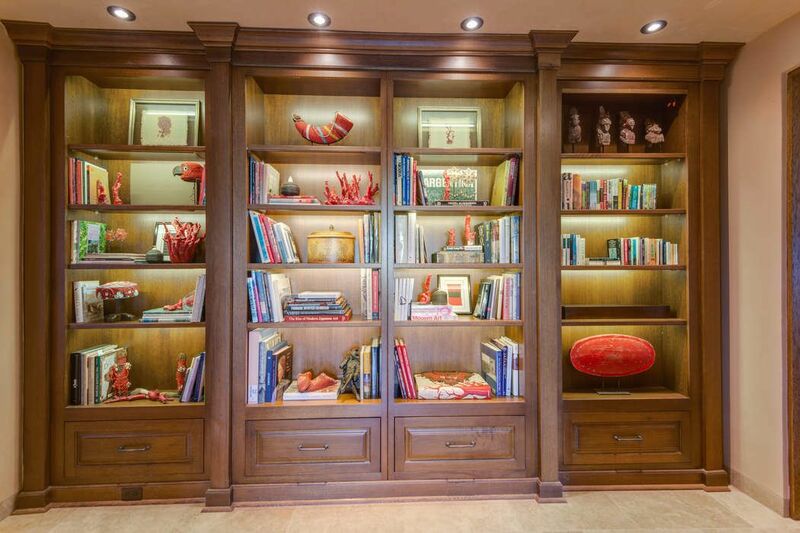 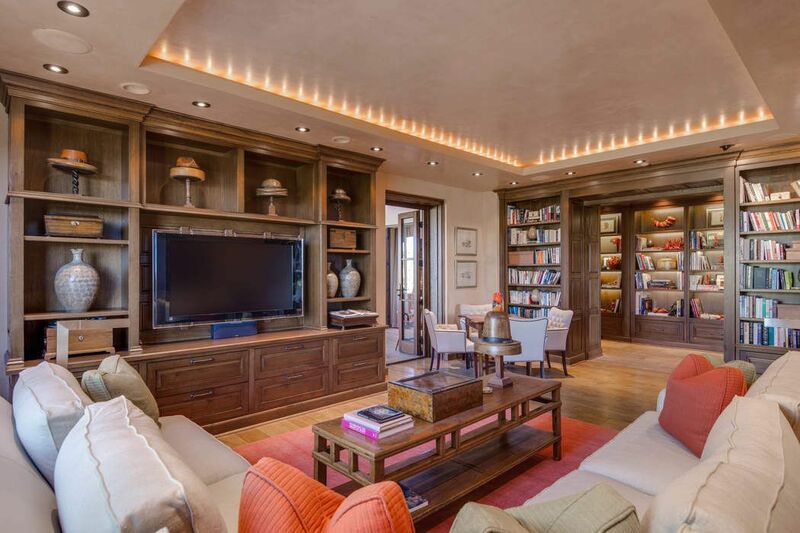 Every detail has been carefully selected and quality crafted from the incomparable master suite complete with amenities that include an exercise room plus a memorable and spectacular master bath area to the private office and handsome, comfortable media room adjoining the amazing library. 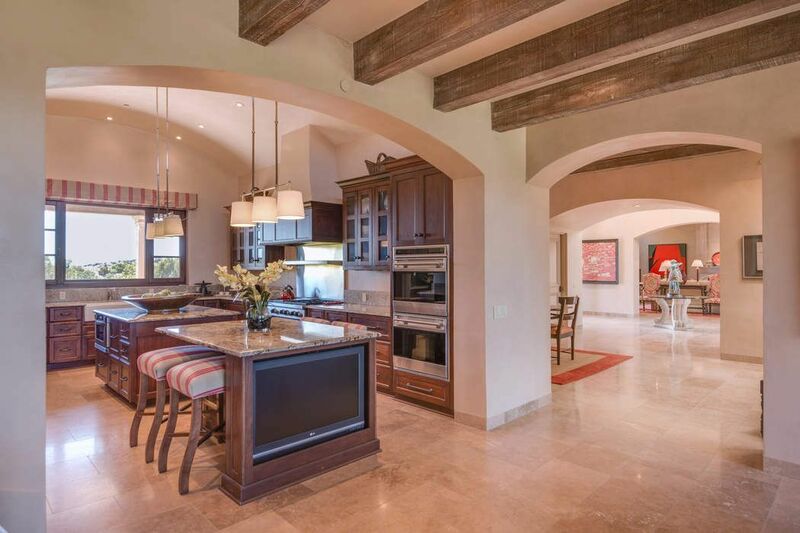 Highlights in this impressive and dramatic residence include a top-of-the-line chef’s kitchen and butler’s pantry with premium finishes and fixtures, a temperature controlled wine cellar holding 350 bottles, an expansive screened portal houses additional entertaining spaces with a living room, fireplace plus dining area and outdoor kitchen. 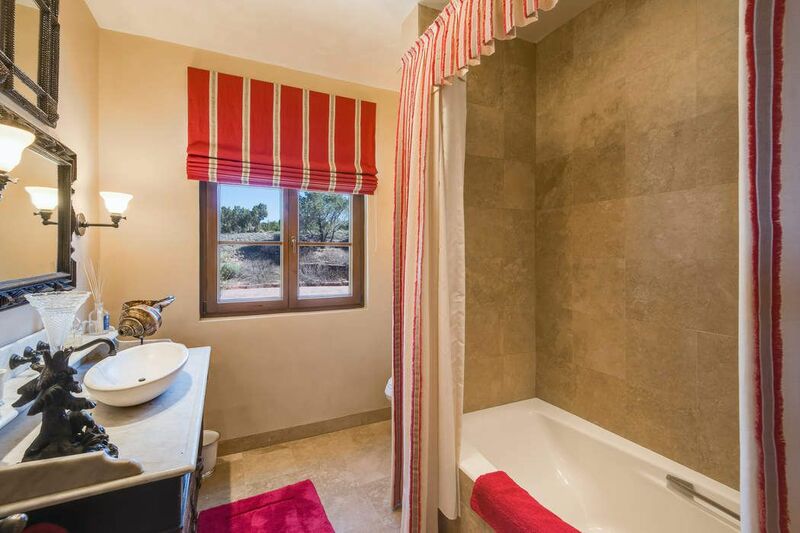 The guest house is charming, attractive and inviting. 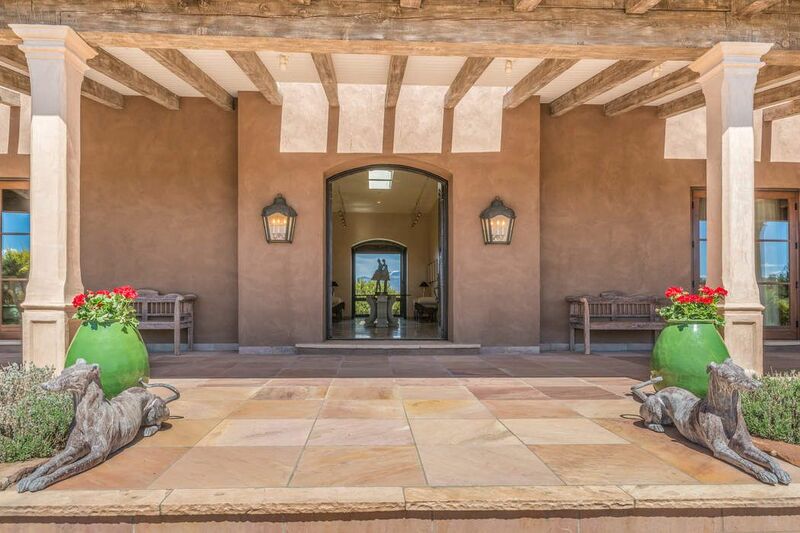 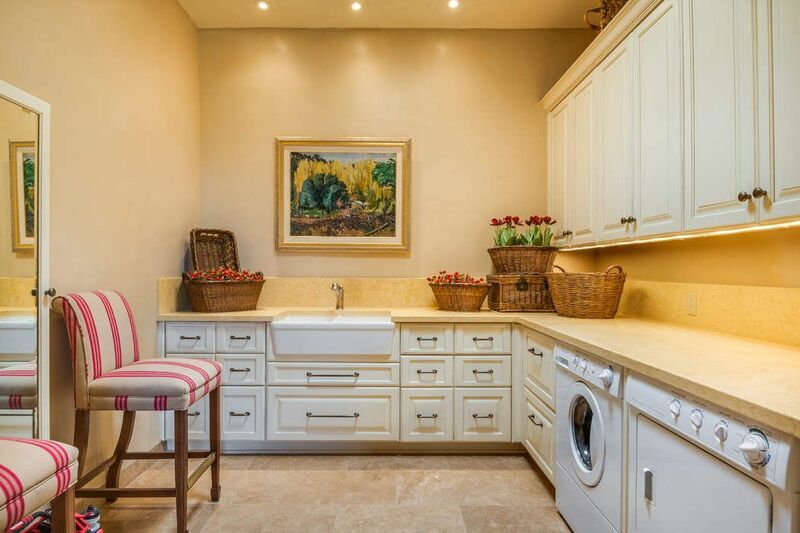 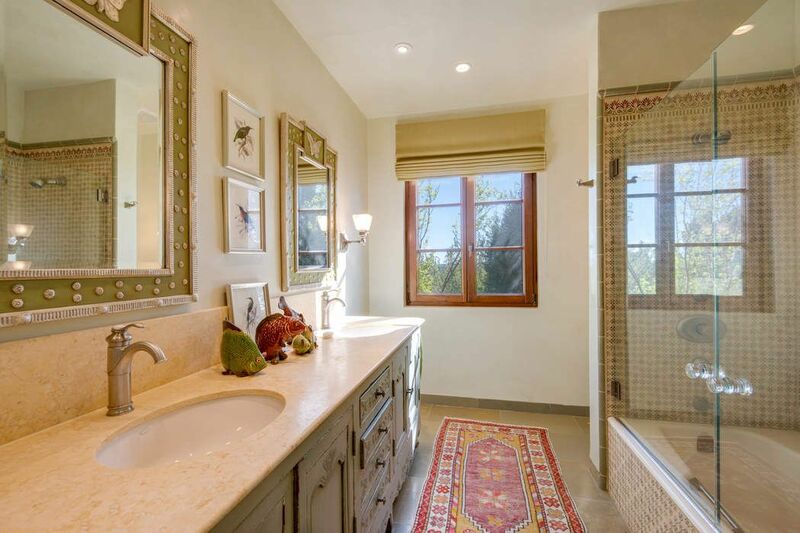 “A lovely space for both outdoor and indoor living.” The best of both worlds await you - enjoy the tranquility and privacy of this impressive hacienda where you can entertain your guests with great style. 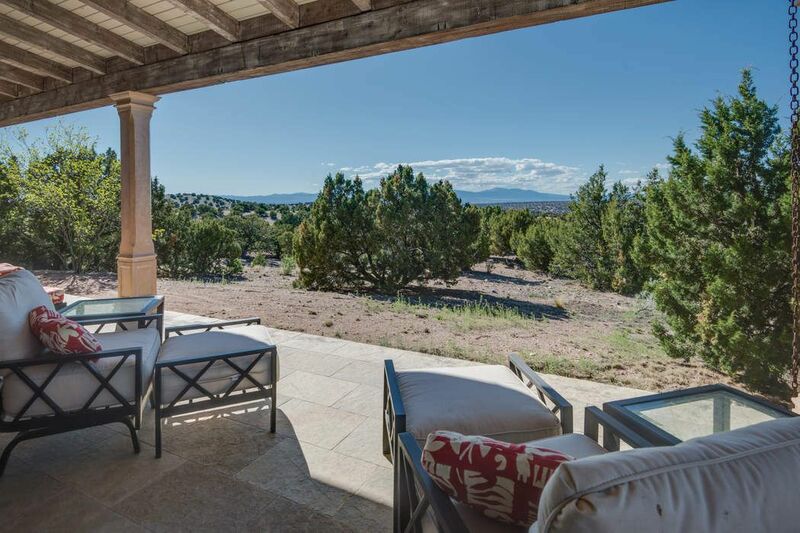 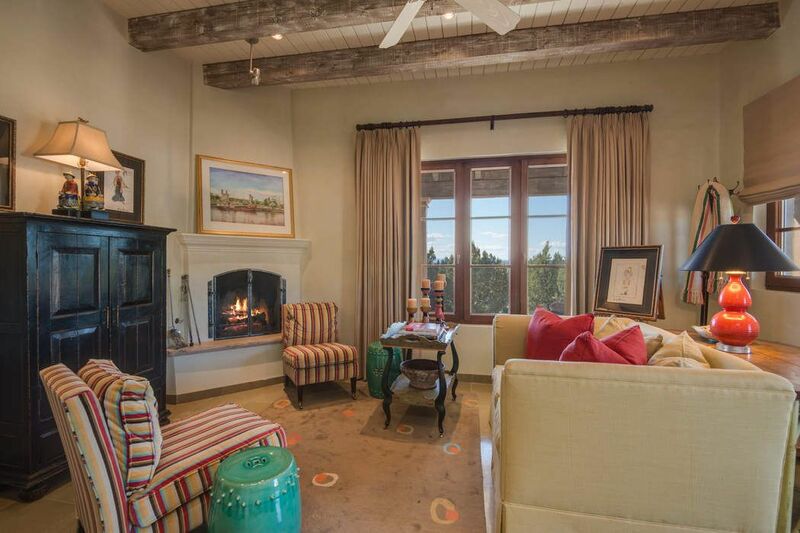 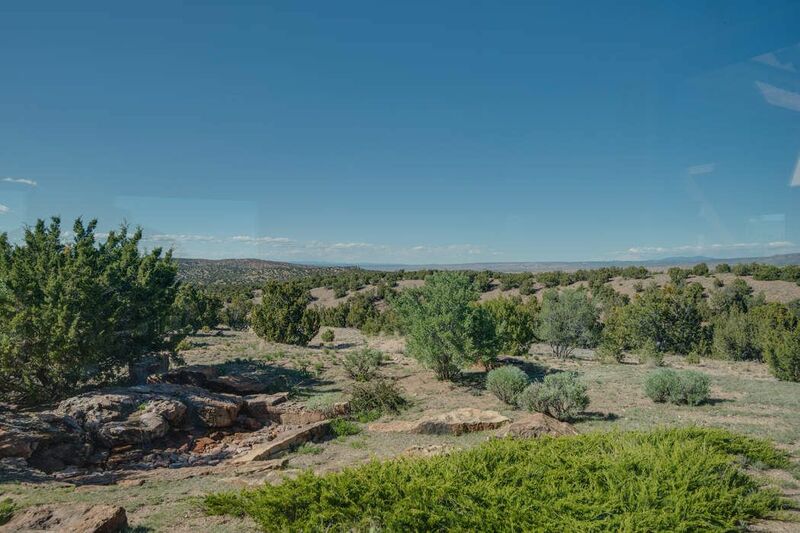 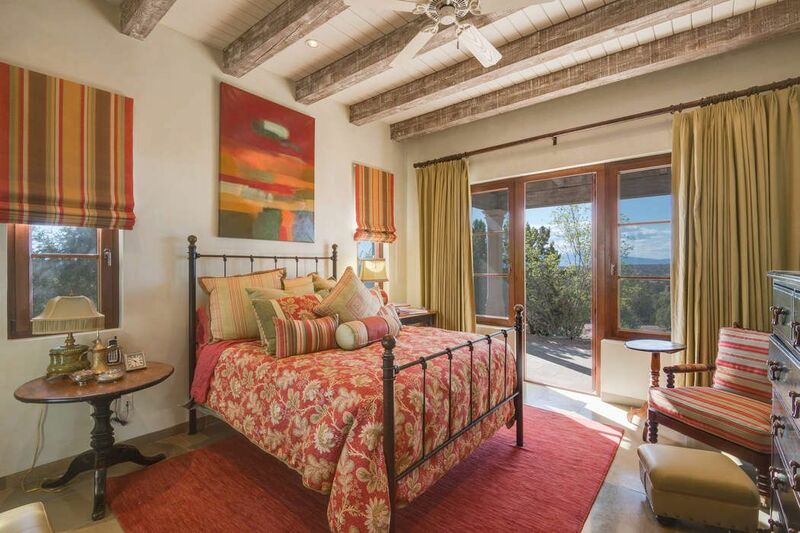 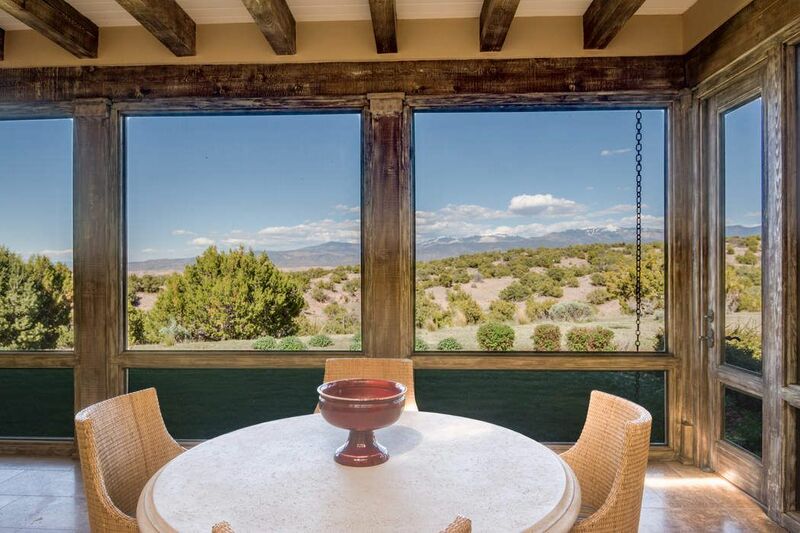 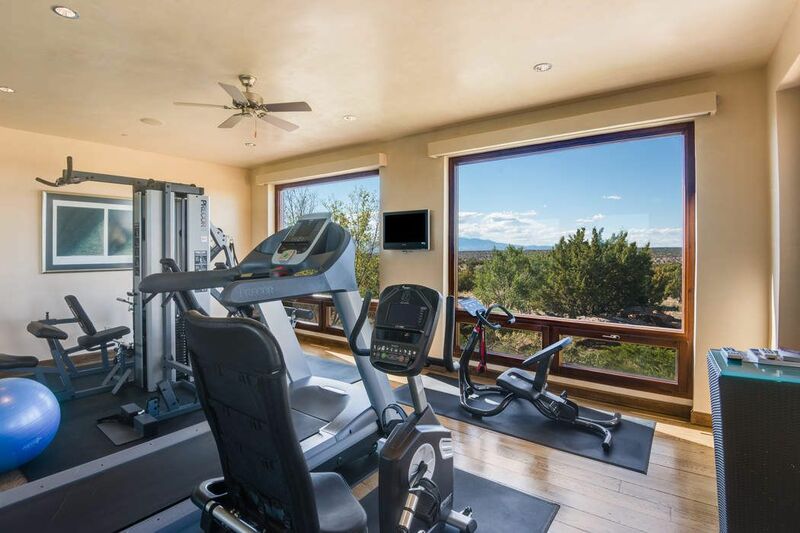 Mansion Global, "A Retreat With Breathtaking Views in Northern New Mexico"